After all my stops in California (see my previous posts), I spent the last week of my workshop travels out west in Mexico. My destination was a small village in South Baja called Pescadero. This oasis in the desert is nestled between the Pacific Ocean and the Sierra de la Laguna mountains. With a population hovering around 2,500, I think more people live in my building in NYC than in Pescadero. Pescadero is not a typical tourist location. It is a world away from the luxury resorts at Cabo. And that was perfect for me. I was surrounded by cactus, hummingbirds, basil fields, dirt roads, bodegas, and temperatures in the 80s. My kind of winter. I stayed mostly on the desert side. and killer sunsets over the ocean (unretouched pic). An outdoor cafe visited on my first day. Outdoor farm to table restaurant we ate at on the night of the full moon. I was there to teach a two-day book-making workshop El Libro Abierto. The workshop was hosted by my good friend Patricia Larsen. You have probably heard the story already but without Patricia, I would not be involved in the arts at all. This was my first outdoor workshop and it could not have been better. With a view like this, how could it not be an incredible time? One stash of papers that we used for the projects. This talented crew created the most amazing books. Patricia was kind enough to allow me to use her home and studio as the location of the workshop. Her home, which she designed and built herself, has been featured in many magazines including Elle Decor. It was a pleasure and a treasure to stay there, exploring the surroundings, and shooting too many inspirational photos to count. Her home is literally an oasis in the desert. Even the "hallways" were a work of art. Many of the materials were local finds, including this door. The area where we held the workshop. What I woke up to everyday. The inside was even better then the outside. One of Patricia's rotating collections. A Pablo Neruda poem painted on the wall. Patricia and I share a love of rusty found objects. I leave you with one more sunset - symbolic of the end of my trip out west and my last post about these travels. Thanks for coming along with me. I am already looking forward to my next international expedition to Australia in August as part of Art is You. Maybe you should consider joining me there in real life? When I was recently out in California, I had the pleasure to meet Kathy Eldon at Creative Visions Foundation (CVF) in Malibu, California. Kathy is a remarkable women and an inspiration to me...and so many other people. 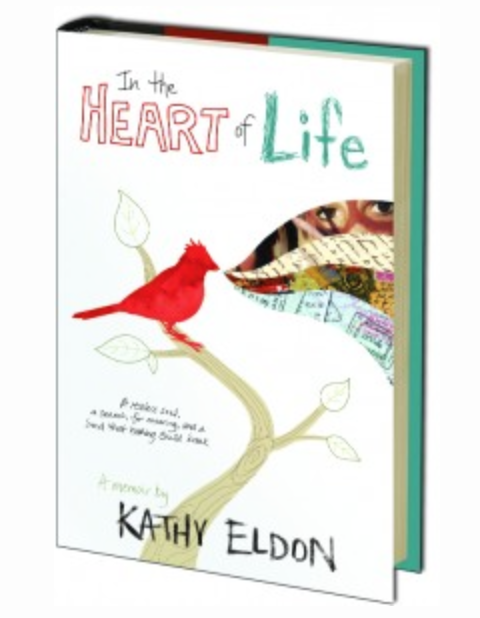 She has recently published her auto-biography In the Heart of Life: A Memoir and I can guarantee that you will be captivated by her story and moved and inspired by her life. Creative Visions Foundation was founded by Kathy and her daughter Amy in 1998. The organization was inspired by the life of Dan Eldon, who at age 22 was killed in Somolia while reporting on the conflict there as a photojournalist for Reuters. He was an artist, an activist and an adventurer and is well known for his art journals -- created long before the current art journaling movement. 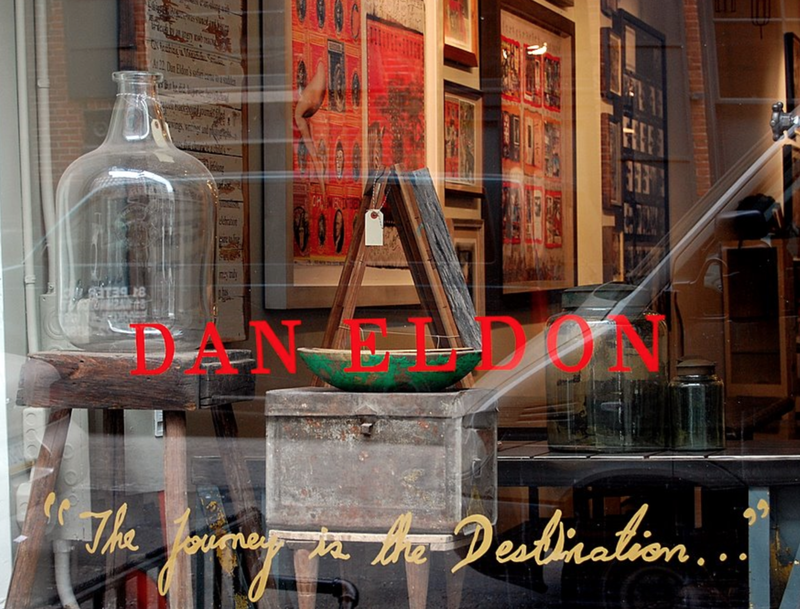 You can read more of Dan's story here and see a post on my blog from 2008 that highlights my visit to a traveling exhibition of his journals. I will be collaborating with Kathy and CVF on a new project and look forward to sharing the details with you soon. Stay tuned for more information on how you can be a part of this too! After my workshop in San Diego and in between my two collaborative workshops with Orly Avineri, I taught a evening workshop in Fullerton, CA. Background Check was sponsored by a wonderful store called Gilding the Lily and held at the beautiful home of Nancy Jamar, the store's owner. When I first arrived in Fullerton I had the opportunity to meet up with two bloggers who have have known online for at least 5 years: Chris Miser and Erin Perry. I laughed the entire time! At the workshop, we spread out into two adjacent rooms at two tables. But in the end, we came together for the much-loved class picture. 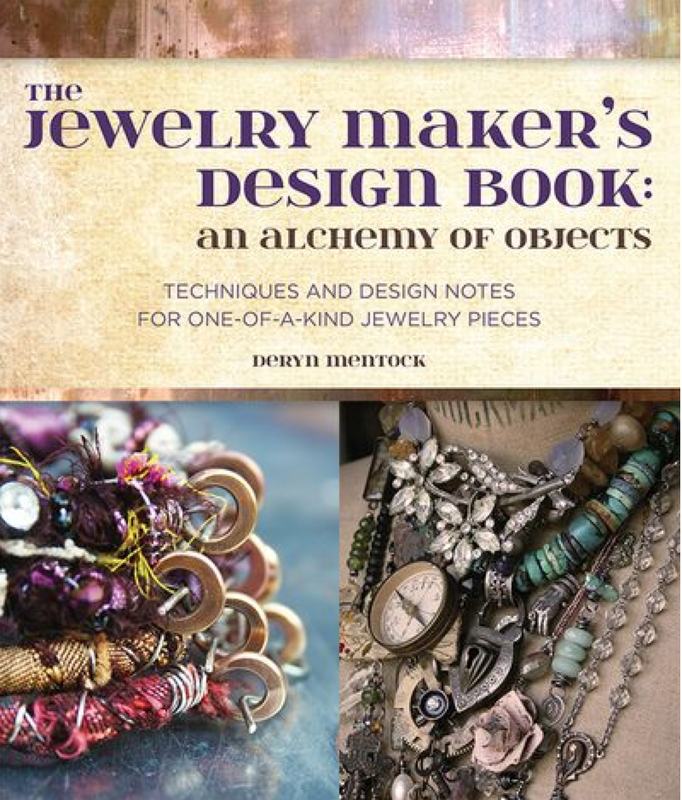 I recently was provided with a review copy of The Jewelry Maker's Design Book: An Alchemy of Objects by Deryn Mentock. Although the focus of this book - jewelry - is not my ....., I found this book informative, fascinating and applicable to my mixed media work. The book itself is well-designed, beautifully photographed (by Deryn herself), and easy to follow. Deryn approach is one of generosity and this book is filled cover to cover with a tremendous amount of information. Chapter 1 reviews the elements and principles of design for jewelry makers. It also includes sections on developing a personal style, finding inspiration, shopping tips, common mistakes, and more. Chapter 2 is tremendously useful and covers techniques and tools. Deryn includes pictures and descriptions of commonly-used tools as well as detailed, step-out instructions for basic techniques such as wrapping, crimping, cutting, filing, stringing, riveting, etc. She covers safety issues with working with metal as well. Chapters 3 through 6 present specific jewelry projects and include detailed instructions and images so that you can create these yourself. Throughout these chapters are many sidebars of both Design Tips and Journal Notes, both of which are filled with helpful and personal ideas. My sense is that this book would be a useful resource for both beginner and advanced jewelry artists. However, this could also be a source of ideas of techniques for the more general mixed media artist, like myself, who uses a lot of dimensional objects in their work. Deryn was kind enough to provide me with an additional copy for a giveaway. If you would like to have a chance to win a copy of this book, please leave a comment on this post to be entered into the pool. Comments will close end of day on Sunday 2/23. The winner will be posted and contacted by email -- so be sure to leave your email address. Good luck! You can also head over to this post on Deryn's blog for a second chance to win a copy of her book as she is generously having her own giveaway as well!